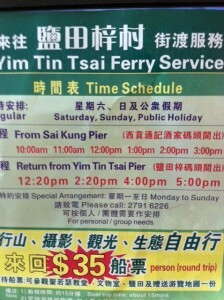 Yim Tin Tsai in Sai Kung is a village on a small island. It is about 15 minute boat ride from the pier of Sai Kung. 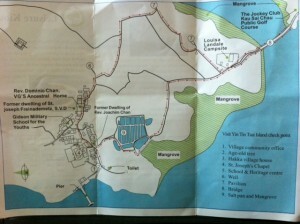 The village was originally built by a family surnamed Chen from Guangdong province who moved to the island in the 1740s. 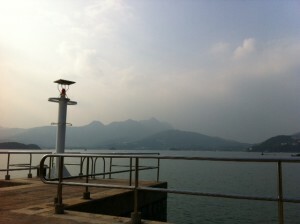 Its descendents made a living by operating a salt farm and sold salt to Sai Kung and neighboring areas. As mainland China and Vietnam exported cheaper salt to Hong Kong in the early 20th century, Hong Kong’s salt industry went into decline. So was the salt farm in Yim Tin Tsai, which was converted into land for agriculture in the 1930s and then into fishing ponds in the 1960s. 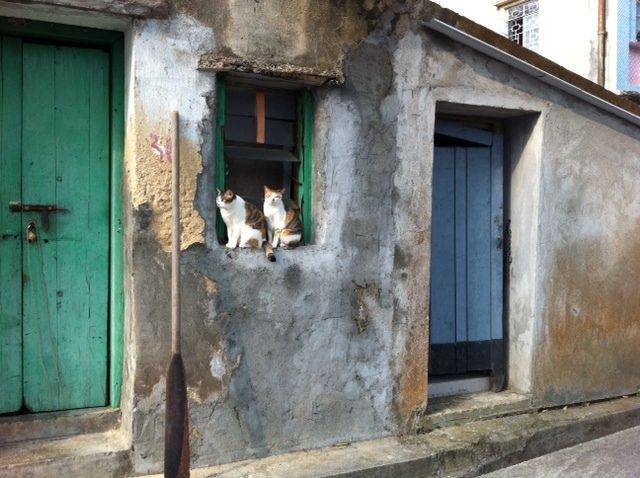 Due to limited farming land to sustain the village community and better work opportunity outside, villagers started to leave the island with some settling down overseas, particularly in the UK. By 1990s, the village was no more inhabited. 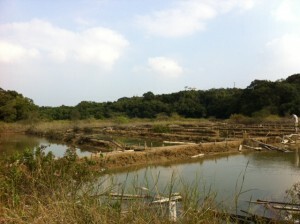 Today, the abandoned fishing ponds where the salt farm once stood remain. 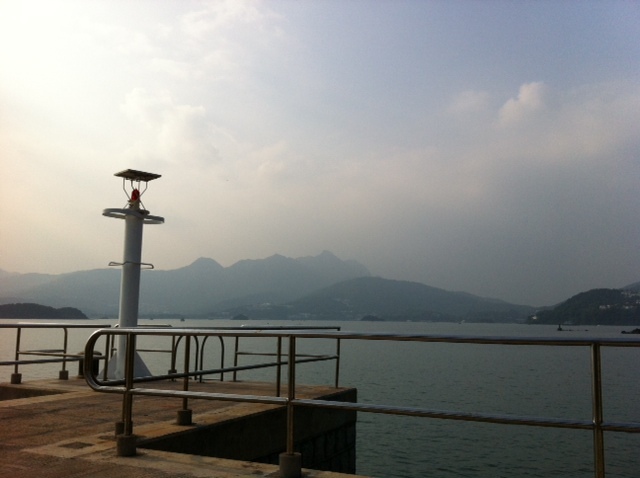 The island is very tranquil, reflecting a sense of being deserted. Maybe it is feeling better that way? 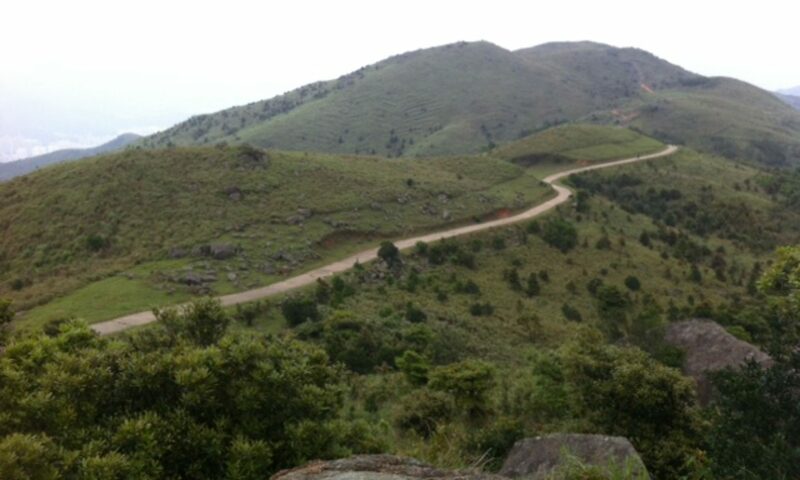 But the descendants of the villagers are determined not to let it be. They are trying to revive the island as a hiking and eco-tourism destination. 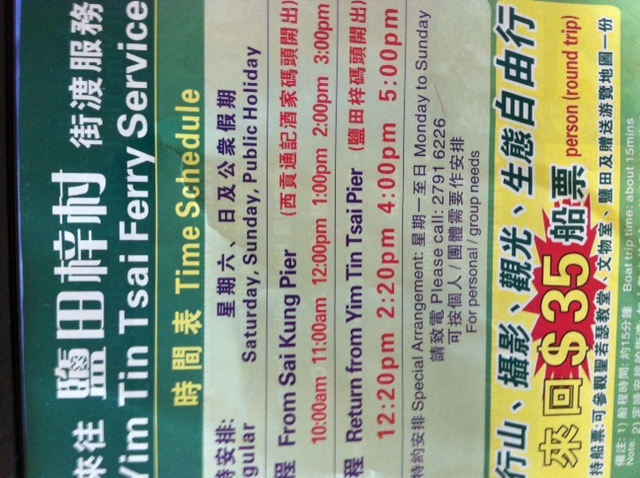 Nowadays, there is regular boat service between Sai Kung pier and Yim Tin Tsai on weekends and public holidays to bring in visitors. There is a leisure kiosk which was the village community centre near the pier. 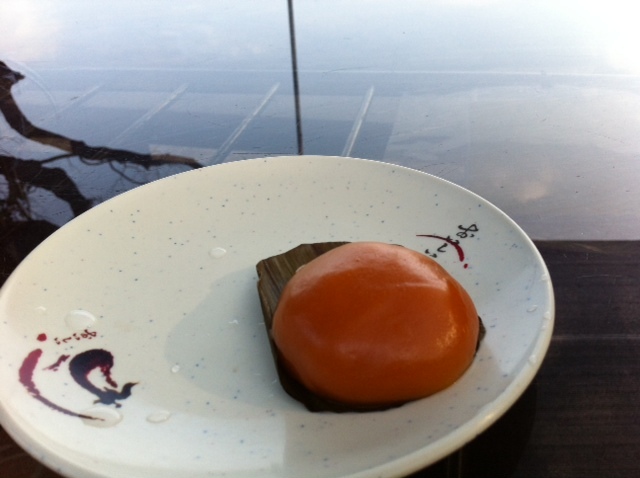 The kiosk sells Hakka sweet, a local delicacy, which comes in four different flavors, including pumpkin and almond. Don’t miss them. It takes less than one hour to tour around the whole island. 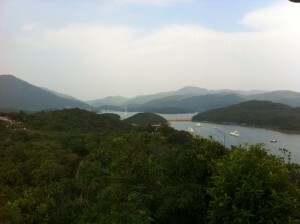 Somewhere along the route stands a pavilion from which you can have a bird’s view of the island and its surroundings. 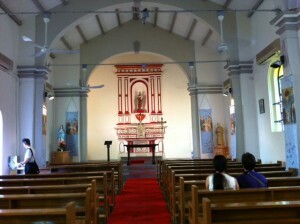 One of the main sightseeing points is St Jospeh’s Chapel. The missionaries came to the island in the late 19th century and since then the whole village was converted into a Christian village. The chapel built in 1890, after renovation, still stands today. no you don’t need to join a tour. 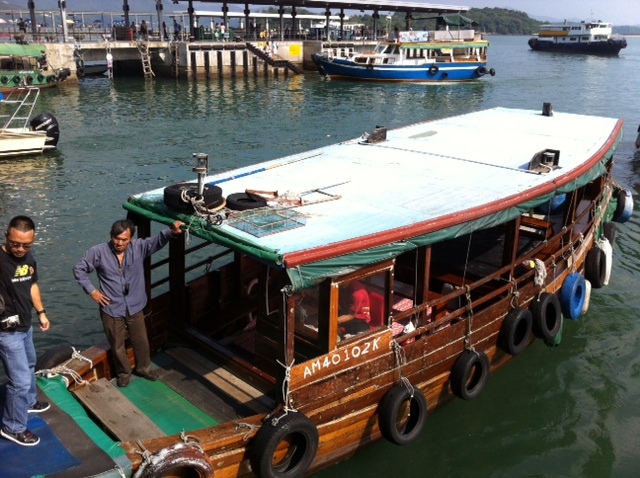 just take the ferry from the pier in Sai Kung. Do we have to join a tour?